It is one thing for artificial grass to look like a golf green, but it’s quite another for it to actually perform like one. If you’re serious about real golf performance, SYNLawn®’s synthetic grass golf greens are exactly what you’ve been looking for. We provide a full line of artificial turf golf products that thousands of customers at all skill levels have chosen for their backyards and their businesses. Since 2004, SYNLawn® has installed thousands of golf greens, making it the most trusted name for golf products in the synthetic grass industry. 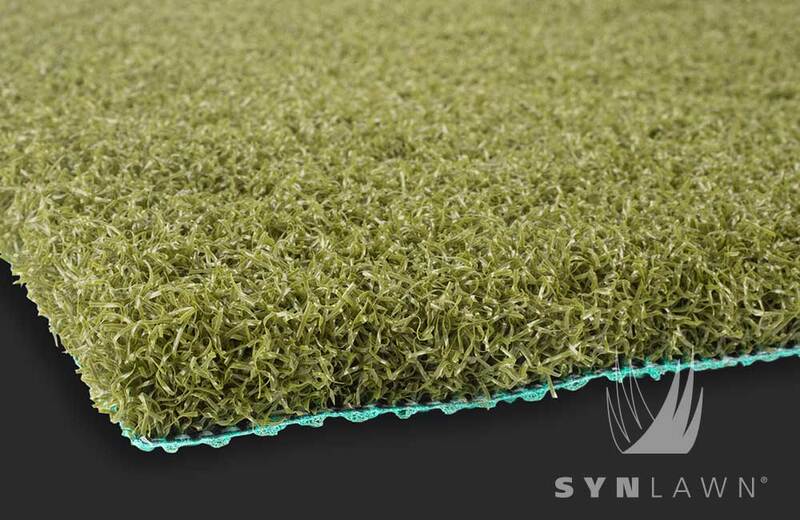 SYNLawn® remains the largest manufacturer and installer of artificial turf, as well as the brand leader in the synthetic turf industry. We offer some of the most state-of-the art golf products and installation techniques brought to you by the cutting edge research and development team at SYNLawn® headquarters. Each synthetic grass surface has been created to simulate the feel and performance of real grass using the strictest of quality control standards. For this reason, SYNLawn® has become known for its resiliency, durability and overall workmanship. When you purchase a golf product from us, you’re getting so much more than just a fake golf green in your backyard. SYNLawn® has teamed up with world renowned golf teaching professional and golf researcher Dave Pelz to create an incredible line of synthetic grass golf products that will provide you with real golf improvement. All products and installation techniques have been thoroughly researched, studied and measured to enhance the quality of your game and create the most realistic golf experience possible. If you’re interested in learning more about our outdoor and indoor putting greens or our other SYNLawn® golf products, call us today at 816-886-2747. Precision Putt Pro is the latest advancement in putting green surface technology. Designed for the golf enthusiast or golf professional seeking performance just like you'd expect to see on tour. 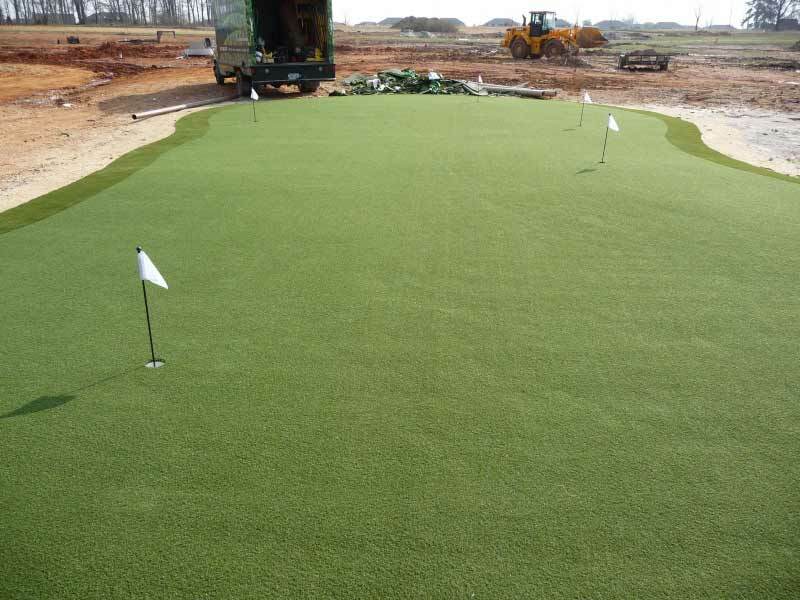 Using multi-colored nylon we've created the most realistic looking artificial golf grass surface ever available. Practice makes perfect, so don't miss another shot to improve your game. 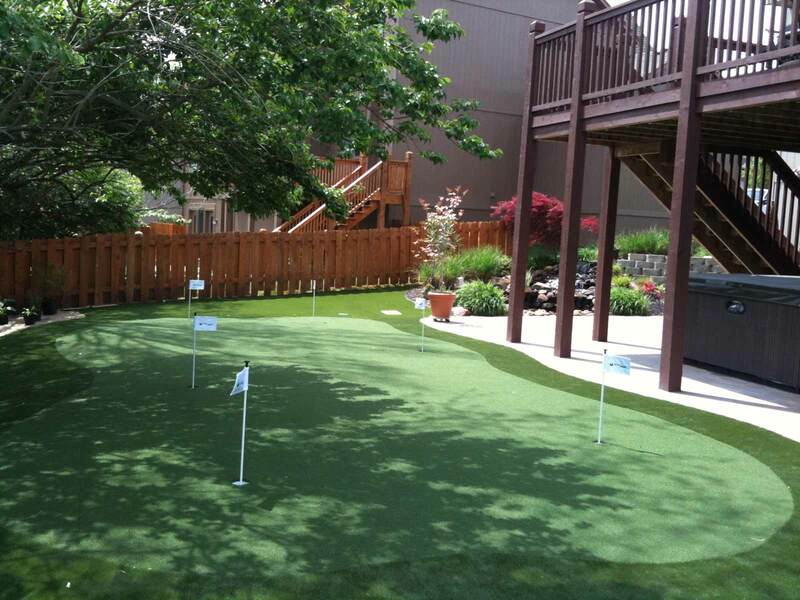 Synlawn installed a 15'x15' putting green in our backyard and we couldn't be more pleased. Putts roll smooth and true. Synlawn built enough break into one cup to let us practice short uphill and downhill putts. Putting confidence has dramatically improved.